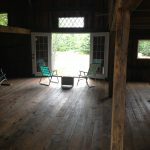 Nobleboro, ME- Around 1850, local craftsmen from the midcoast of Maine collaborated to erect a barn for a local family farm, gathering timbers from the nearby woods and hewing them by hand in the old tradition to construct a standard 4 bent barn structure. 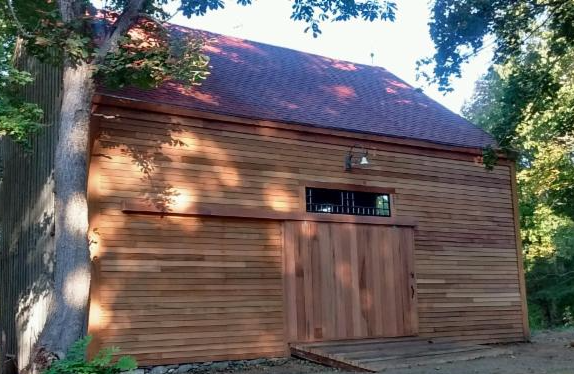 Fast forward to 2015, and the Jarmak Corporation is helping to preserve the legacy of the barn now over 160 years old by reusing many of the original timbers, decking and barn siding while incorporating an impressive haul of locally sourced reclaimed lumber to match the style of the original structure. 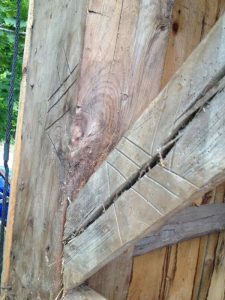 The photo on the left shows the original marks used by master builders over 160 years ago to mark the appropriate bents on the timber frame. 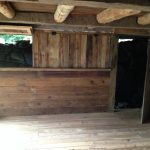 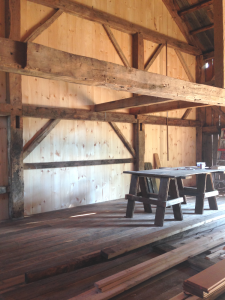 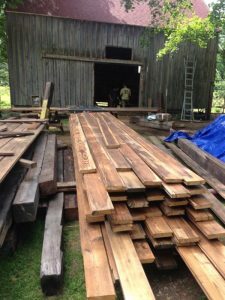 We were able to save many of the historic timbers for structural use in place, only replacing what was necessary, and doing so with lumber from the same era. 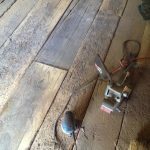 In the center photograph, our flooring boards reclaimed from South Boston can be seen recently sanded and defected ready to be installed. 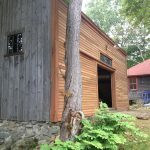 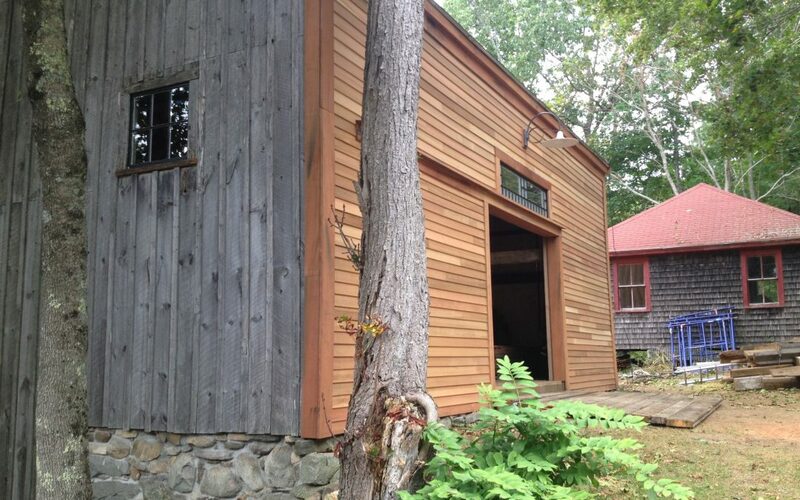 It’s also interesting to note the transformation of the front facade of the barn, from the original board and batten construction seen here to the newly sided clapboards and redwood trim in the larger image above. 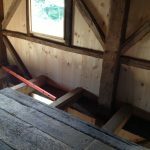 Some of the newly installed antique heart pine joists for the second floor loft can be seen in the photo on the right, as well as much of the original timber frame highlighted with a fresh backing of locally milled hemlock shiplap siding.